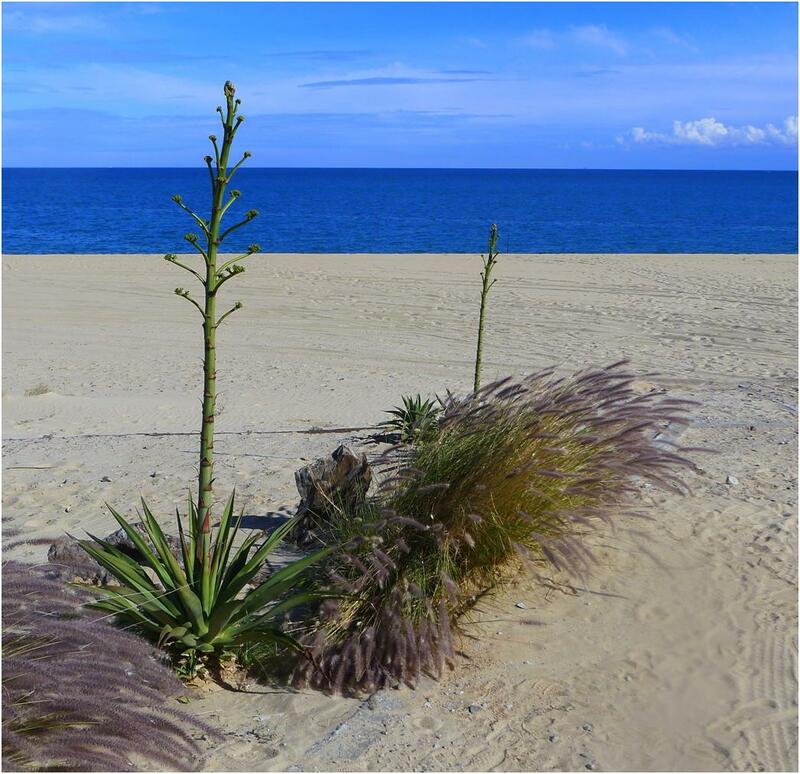 Baja California, like its Northern neighbor, is largely a land of immigrants. It has always been so; but never more than now. As Tony Bourdain observed in his No Reservations episode focusing on the cuisine of Baja, in the wake of a lot of bad publicity related to Narco Violence, the region has started looking away from its rich neighbor to the North for its sugar daddy and focused more on Mexico itself. Where Bourdain did not go is this: much of the influx of money (and new immigrants) to Baja is the direct result of Narco Violence that is far worse in the Northern reaches of Mexico’s mainland than it is on the Baja Penninsula. Monterrey money looks at Baja as a place of relative calm and safety. Baja Med cuisine is very much a reflection of the immigrant nature of Baja California. 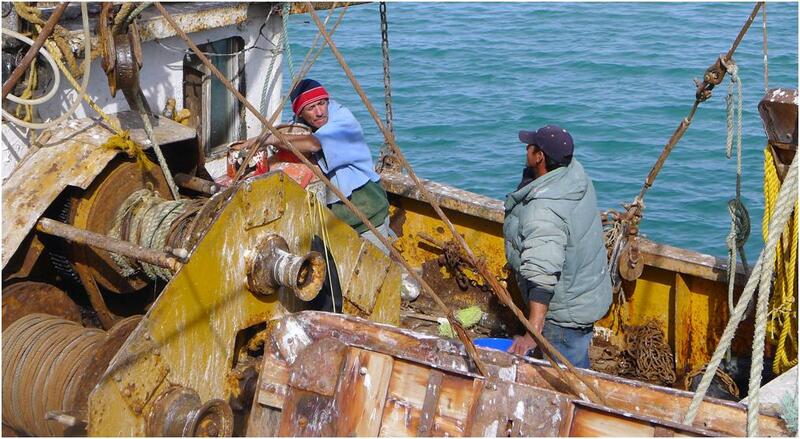 The historically sizable East Asian immigrant waves are echoed in the Eastern influences on Baja Med food. Other sources and waves of immigration, particularly from other parts of Mexico and Latin America (but also, to a lesser extent, Russian Orthodox and Middle Eastern) have found their way into the cuisine as well. One of the common approaches used by chefs in the new Baja cuisine is to take a recipe from the classic Mexican repetoire and adapt it using techniques from French (or at least European) cuisine and updated, more modern presentations. One such classic Mexican recipe – originally from San Luis Potosi — is Huevos con Rabo de Mestiza. 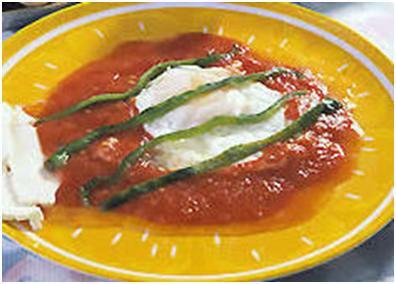 It is, essentially, eggs poached in a hardy sauce of tomato and fire-roasted poblano chile peppers. I chose to lighten it up by sweating a mirepoix, adding diced tomatoes (essentially, a Catalan sofregit) before adding in the poblanos and the broth. I then poached the eggs in this heady (more than hardy) broth. The final touch was a garnish of cilantro “fried” in the microwave with just the slightest kiss of grapeseed oil. The result was a dish that honored the depth of flavor and profile of the original but is light and modern with a contemporary feel. It is, in short, Baja Med. 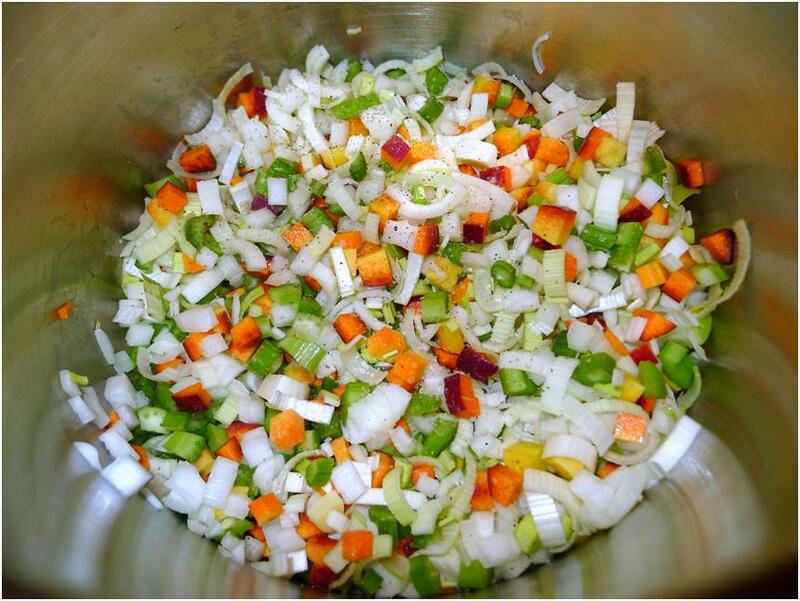 Sweat the Mirepoix. Place the oil, onion, leeks, carrots and fennel in a large soup pot over low heat, season with kosher salt and freshly ground pepper. Sweat the aromatics for five minutes. Roast the Poblano Chile Peppers. Meanwhile, begin charring the chile peppers. The best way to accomplish this is over the open flame of a gas stove. the raw whole chile peppers directly on the grate covering the flame and let the fire blacken the outside skin of the peppers. When one side has blackened, use tongs to turn the chile over so that the flame can blacken another side. This can also be done in a broiler but be very careful not to overcook the chiles; they should still be somewhat firm. Once the peppers are blackened all over (you can still have a few green spots), place them in a paper bag or a thick plastic bag, close the bag, and let the chiles steam in their own heat for a few minutes. When the chiles are cool to the touch remove them from the bag. Working over a sink use your fingers or a damp towel to strip off the blackened parts. Try to avoid running the chiles themselves under water. Doing so will dilute the flavor. Once you have removed the blackened outer skin, open up the chiles and cut out and discard the stems, seeds, and inner veins (if you prefer more heat you can leave the inner veins intact). Cut the chiles into long strips, about an inch wide. Finish the Tomato-Chile Broth. Add the tomatoes to the soup pot and season with kosher salt. Raise the heat to medium and cook for five minutes, until the tomatoes break down. Add the stock (either chicken or vegetable) to the pot and bring to a boil over high heat. Once boiling, reduce the heat and simmer for half an hour. Strain the broth and return it to the cleaned pot. “Fry” the Cilantro. Wrap a dish in plastic wrap and brush the top of the wrapped plate with grapeseed oil. Arrange the cilantro sprigs on the plate. Cook the cilantro at 800 watts (the precise strength setting will depend on the total maximum wattage of your microwave oven; for me it was 6) for about 2 minutes, until the cilantro lies flat. Poach the Eggs. Return the broth to a simmer. Carefully break each of the eggs into the broth (do not break the yolk) and poach until the white is just set, about 1 ½ minutes for each egg. Remove each egg from the broth (they continue to cook off the heat) and, using a paring knife trim the fly-away whites (unless, of course, you like the look of them). Plate the Dish. Place a poached egg in the bottom of each soup bowl. Ladle some of the broth around each egg. 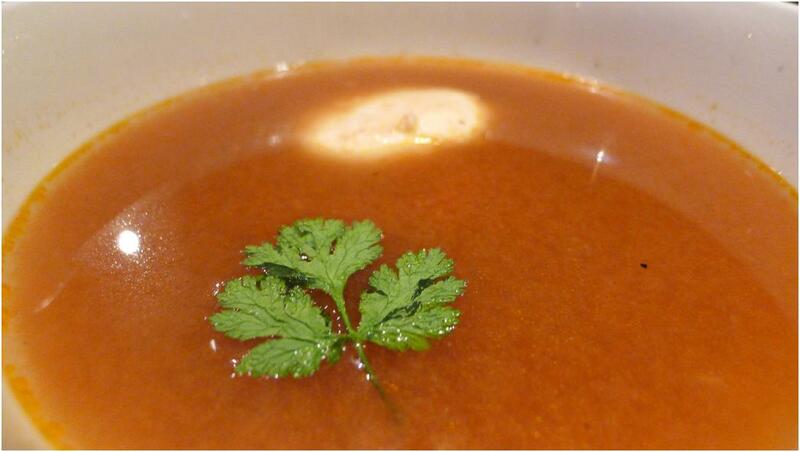 Garnish by floating a piece of the fried parsley in the soup bowl.